NIA CHARLESTOWN NEVIS (November 18, 2016) — Three new events have been introduced to the Gingerama Festival’s calendar of events. 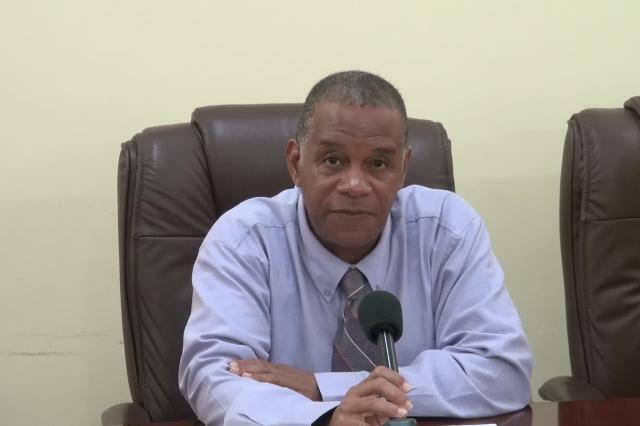 Chairman of the Gingerama Festival Committee Eric Evelyn made the disclosure at the festival’s launch at a press conference on November 17, 2016, at the Ministry of Finance conference room. 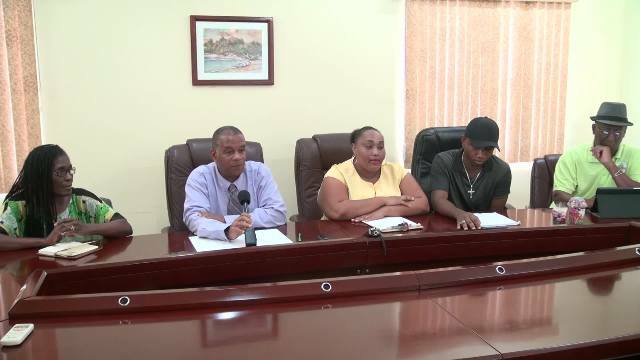 The festival, which will run from December 14 to 18, with the theme “Reviving our Culture, Sustaining our Heritage,” will include a singing contest, a calypso show and the Miss Gingerama Swimwear Contest, which will be replaced with a Miss Gingerama Contest. Evelyn said the public can look forward to an exciting event because the activities were carefully planned with patrons in mind with a variety targeting every strata of the community. “We will be providing wholesome family entertainment and we are soliciting overwhelming support from members of the public and we assure patrons that they will not be disappointed. We are guaranteeing a high standard for the shows. “We are being generous and all shows will be a small contribution of $20 each. All proceeds will be used to enhance the community,” he said. Regarding security, the committee chairman assured that patrons would be attending shows in a safe environment and therefore, they should have nothing to fear. The community enhancement and cultural festival was first held in 2001 and again in 2002 and after a 13-year hiatus it was revived in 2015. Evelyn said the event is being staged again in 2016, due to the overwhelming success and feedback it received last year. He said the committee is appreciative of the support and for all the sponsorship it has been able to garner for the festival so far and expressed hope that more corporate citizens contribute. Evelyn explained that the festival is designed to revive and sustain the vibrant cultural art forms that existed in St. Georges, Gingerland. It provides an avenue for residents to showcase their talent; wholesome entertainment for the public particularly during the Christmas season; an opportunity for members of the community to work together to foster community spirit; and encourages economic activity to assist in the overall development of St. George’s, Gingerland. Other members of the Gingerama Committee who were present at the press conference were Miss Gingerama chairperson Esther Brookes, Miss Gingerette Chairperson Nikieta Liburd, J’ouvert and Gingerama Calypso Chairperson Antonio Liburd and Sub-Committee member of G Explosion Shane Browne.